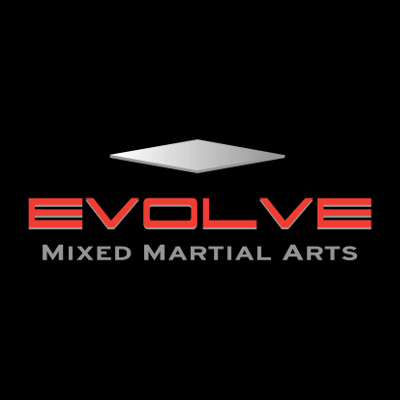 Kwankhao is an Instructor at Evolve Mixed Martial Arts in Singapore. 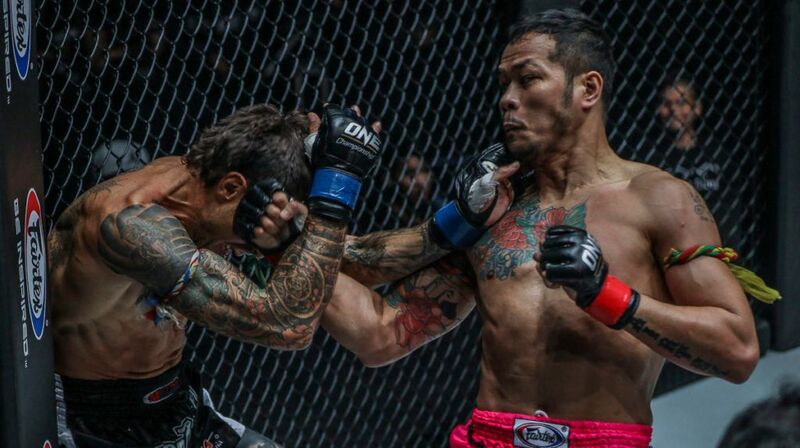 He is a Rajadamnern Stadium Super Featherweight Muay Thai World Champion, Thailand National Super Featherweight Muay Thai Champion, and Toyota Marathon Tournament Champion. 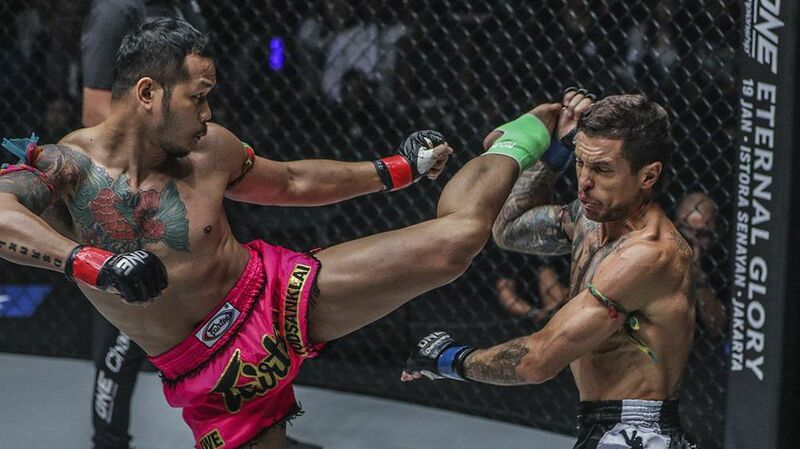 As one of the top World Champions in Thailand, Kwankhao has the distinction of fighting Muay Thai legends such as Pornsanae Sitmonchai, Sam-A Gaiyanghadao, Petchmorakot Petchyindee, Muangthai PKSaenchaimuaythaigym, and Phetpanomrung Mor. Ratanabandit. You could say that I was destined to fight Muay Thai. Both my father and brother were Muay Thai fighters, so it was only natural that I would step into the ring someday. Although I grew up in a community of farmers, I knew that I was meant for something more. My father made sure of that. When I was 9, my father started to teach me how to fight. 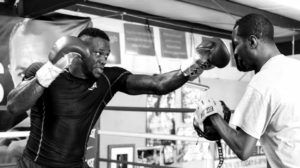 It wasn’t anything serious – I would hit pads, kick bags and go for runs. I did whatever my father told me to do. After a month, my father thought I was ready for my first fight. I wasn’t scared; I was excited to finally get inside the ring, just like my father and older brother. My first fight was at a local temple festival, and I had no idea what to expect. I lost on points, but I was just happy to be able to fight. I even won 200 baht at the end of the night. 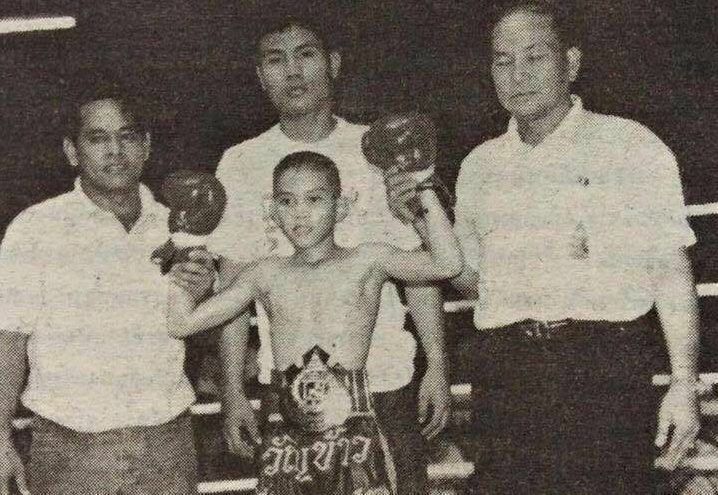 Kwankhao started Muay Thai at the age of 9. I never stopped going to school, even when I was training at the bigger camps. When I was 12, I moved to Pa Peng Luom Sang Gym, an established camp in my province. There were lots of famous fighters at that camp, and they would often send fighters to Bangkok. During the weekend, I would stay at the camp, and during the week, I stayed with my uncle. Before my classes started each morning, I would go for a run and then head straight to camp and train after school. Although the camp was quite far from where my uncle lived, I made it a point to train every day. As tough as it was to train and go to school at the same time, I knew I had to do it if I wanted a chance for a better future. This is also the same reason why I’m still studying today, even if I have a secure, steady job. 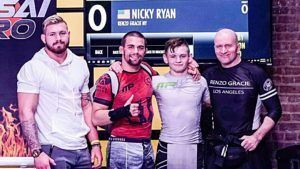 Both my father and brother never got to fulfill their dreams and become Muay Thai superstars, so I knew that I needed to have a backup plan. I also wanted to help my family – I knew that money didn’t exactly come easy for us, especially since my father was just a farmer and a retired fighter. I stopped training Muay Thai and fighting after I lost my first 3 big fights. I didn’t train at all for a year. After a while, because my father would always take me to watch fights, I felt the desire to train and fight again. That’s when I started to take things more seriously. Kwankhao and multiple-time Muay Thai World Champion Superbank Mor. Rattanabandit. Training at camp was tough. I was one of the youngest and smallest fighters so I would get teased and bullied a lot. One of the fighters’ favorite things to do was to go extra hard on me during training. But I didn’t mind. Being there with all these great fighters was worth it all. I also knew that I had a greater purpose for being there – it was more than being able to fight in the big stadiums, it was also my chance to give my family a better life. It was at this camp where I developed my style. I became a muay femur, adapting my style to whoever my opponent was. 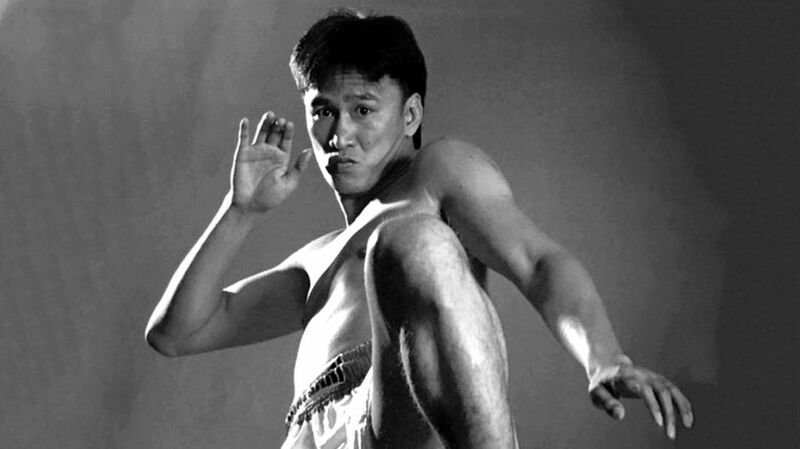 If I was fighting a muay khao, I’d use my kicks and follow the muay tae style of fighting. 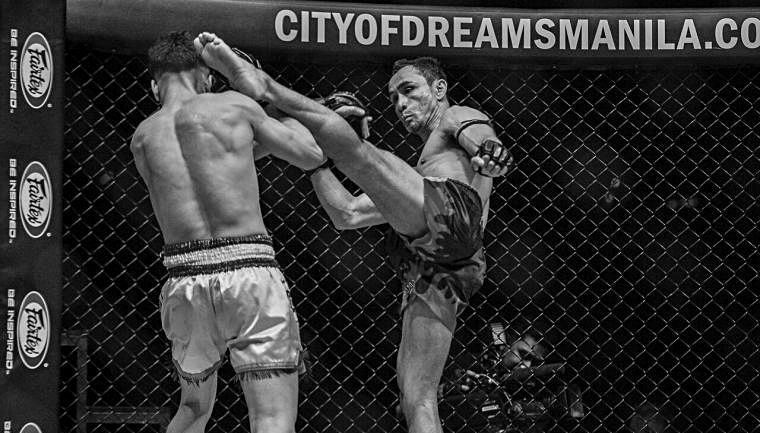 If my opponent was a better kicker than I was, I’d use the muay khao style, which I developed from my time at FA Group. When I was 19, I fought my first title fight at Lumpinee. For me, winning the Thailand National title confirmed that I was on my way to achieving my goals. I wasn’t even nervous before my fight; I was just excited to be able to fight at such a prestigious stadium. My opponent was a femur fighter, so I had to fight as a muay khao and be the aggressor. In the last three rounds, I found my rhythm and started really landing those knees. The crowd went crazy, and this really riled up my opponent. He started attacking, but it was too late. In the end, it was my hand that was held up high in victory. It was a really close fight. 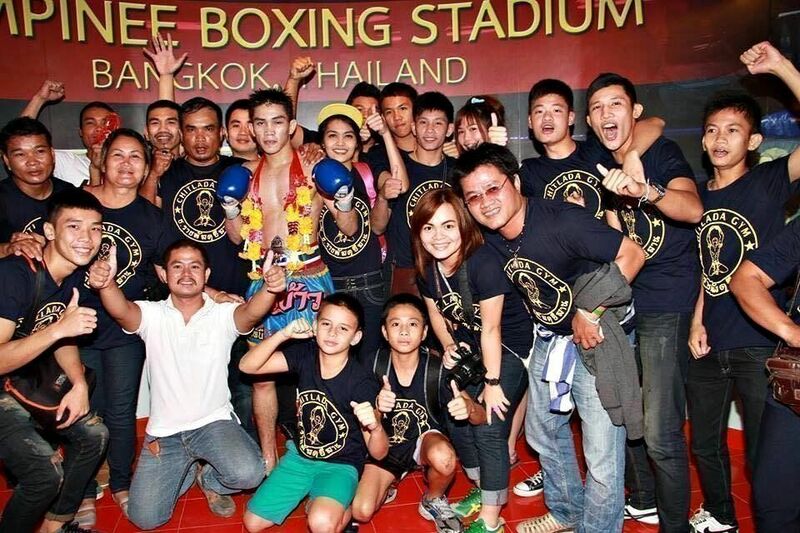 Kwankhao wins the Thailand National title at Lumpinee Stadium. My toughest opponent was multiple-time Muay Thai World Champion Sam-A Gaiyanghadao. When we fought, I was just this young, up-and-coming fighter. Sam-A was already a superstar and very much in his prime. He was very tricky and used a lot of fakes in his attacks. There’s also something to be said about his left kick – super fast and very deadly. 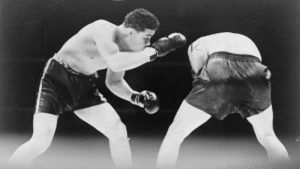 I lost the fight, but I learned a lot from it for sure, especially when it came to fighting southpaws. 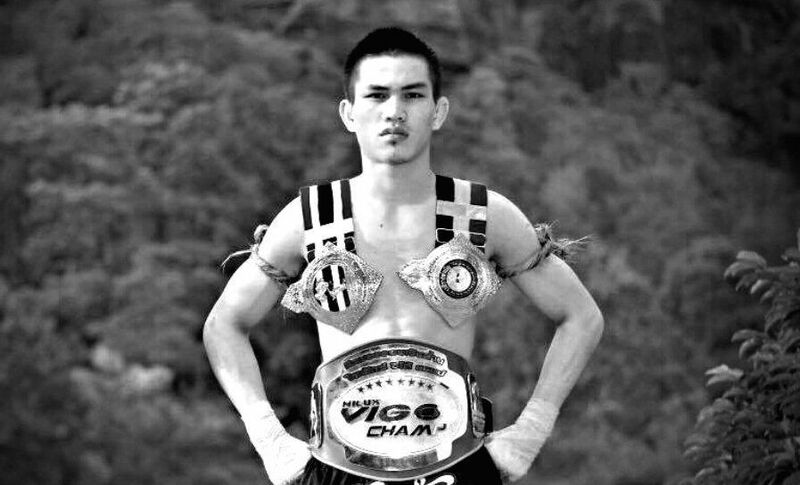 My favorite fight was when I fought Petchmorakot for the Rajadamnern title. 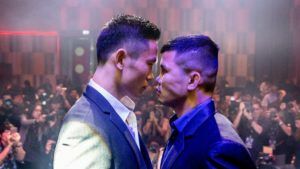 I was a huge underdog, and Petchmorakot was favored to win. Before the fight, I went to pray near the stadium, to this statue of Rama V. I asked him to bring me luck, to help me win the fight. Nobody thought I could win, and all the gamblers were betting against me. I was determined to prove everyone wrong. When I entered the ring, it was as if I had a guiding presence with me. I saw all these openings, and it was as if my limbs were moving with purpose. It wasn’t until the 3rd round where the fight started to get interesting. My opponent was aggressive, landing knees to my body. The gamblers looked as if they were even more certain of who would win the fight. Halfway through the 3rd round, I started to find my groove and circled Petchmorakot. I swept him, landed some kicks and won that round. The next round was the same, but I managed to land a few elbows while he walked in and cut him. After that round, Petchmorakot was really hurt and he started to back off. I landed a few more kicks and ended up winning the fight. I wish my father had been there to watch my fight. He passed away before I won a title. He was one of my biggest supporters, especially since he was the one who had taught me Muay Thai. Although I’m sad that he isn’t around, I know that he’s happy because I’ve made him proud with all that I’ve achieved in my career. Hopefully, I can continue to do so as a teacher, sharing my knowledge of Muay Thai with my students, just as he shared his knowledge with me a long time ago.